The Knitting Pirate » In Which the Pirate Gets the Rest of Her Yarn. « In Which the Pirate Knits at Work. In Which the Pirate Gets the Rest of Her Yarn. It's here, it's here! The last piece of my WEBS order is here! 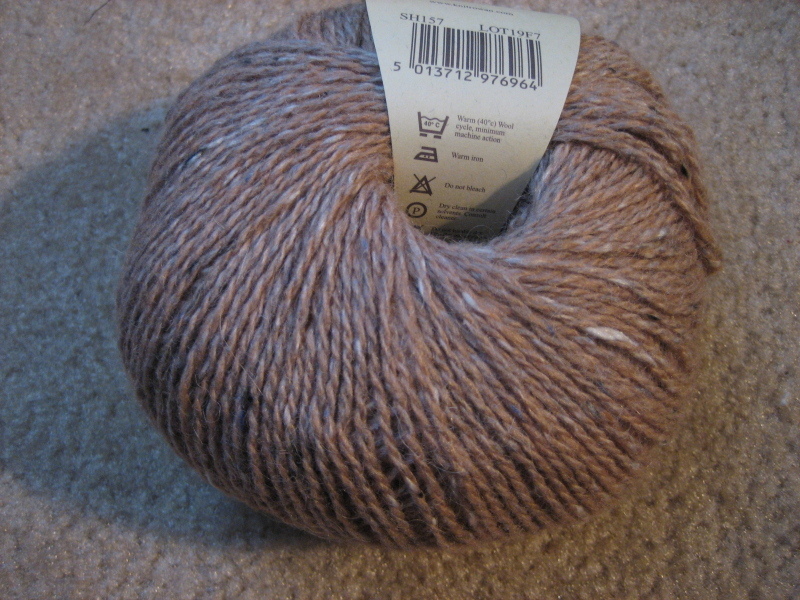 There's only one thing that disappoints me - they charged me full price for this one ball of yarn, even though I ordered them all together and should have gotten the 20% discount. I guess that only applies to yarn that goes into one shipment? Ah well, at least it's all here now. I really miss SnB, after two weeks without it, and I'm so looking forward to tomorrow night! I'll bring the Trekking Sock, still in progress, and see how far I can get on it. It's the only project I have that's really able to travel. Tonight, before dinner, I am going to work on the Ostrich Plumes Scarf. Someone pointed out to me that I haven't made any progress on that in a while, and it's true - I've been sorely neglecting my lace. This entry was posted on Tuesday, December 4th, 2007 at 18:07 and is filed under lace, ostrich plumes, SnB, sock, trekking90 sock. You can follow any responses to this entry through the RSS 2.0 feed. Both comments and pings are currently closed. I just saw your blog post. Please email and we'll take care of the discount snafu. If it's a discountable yarn, you should have gotten the discount. We can credit you back, no problem. Sorry for the error!